Mantles Wood - Not finished yet! Welcome Back! It’s been a while. Unfortunately I had quite a disaster with scenery which dented my mojo a bit, followed by a lot of family illnesses which were a major call on my time – hence no updates for ages. 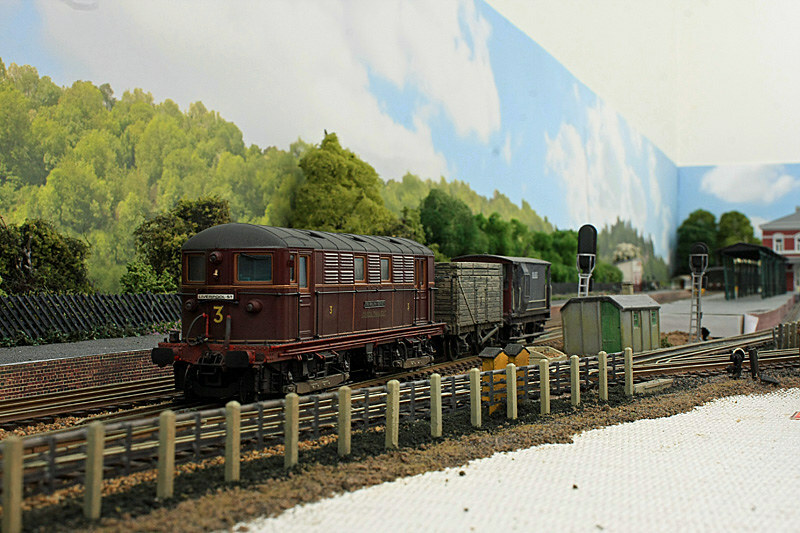 In the meantime, early 2017 was quite a good time for decent locos being available in the new year at reasonable prices and I had some time to tinker with loco weathering and detailing, working a few minutes at a time. 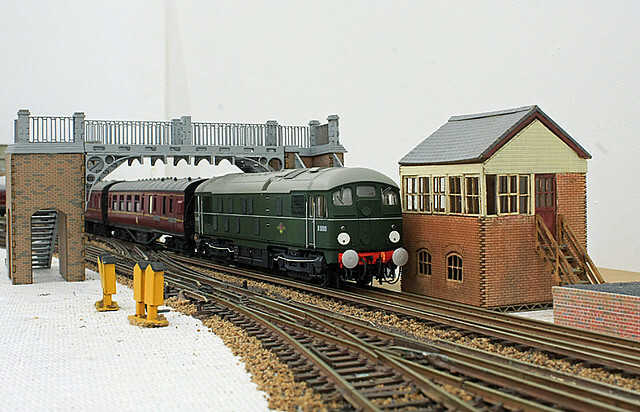 A Hornby D16 was renumbered as 62584 which was a Cambridge loco and worked Cambridge-Oxford services 1954-57 so was a good candidate for a cross-country train being diverted due to weekend engineering. I missed out on the SLW Class 24 D5000 first time around, but this loco did work Marylebone-Nottingham trains (albeit slightly later than my timeframe). A 2nd-hand one came available on that well known auction site that often drains me of my funds and although not cheap at £140 buy-it-now was too good to pass. This is the one that changed everything. 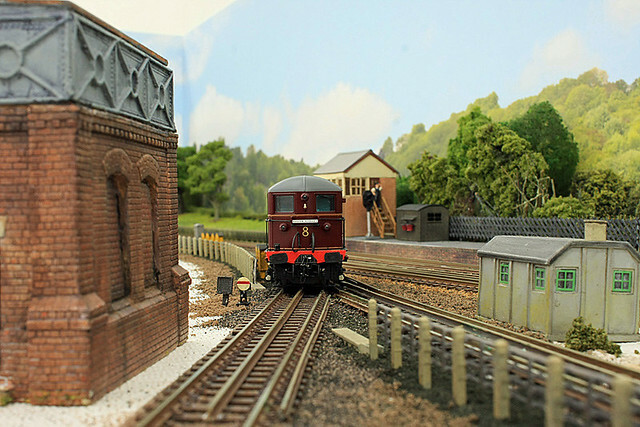 It turned out that the vendor was a lady selling off her late father’s estate of railwayana and models, and this had been in a wardrobe along with other models waiting for that last great project that was sadly never going to happen. Whatever my problems, at least I was alive and kicking, and had had a decent amount of track down since mid 2015, so if I don’t get on with it, when would I? 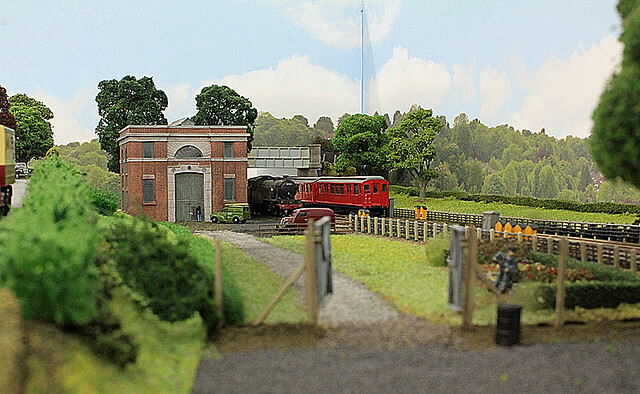 In the interim, I’d been mulling over whether to have a backscene, and whether to have an additional spur for a standby electric loco at the London end of the station. 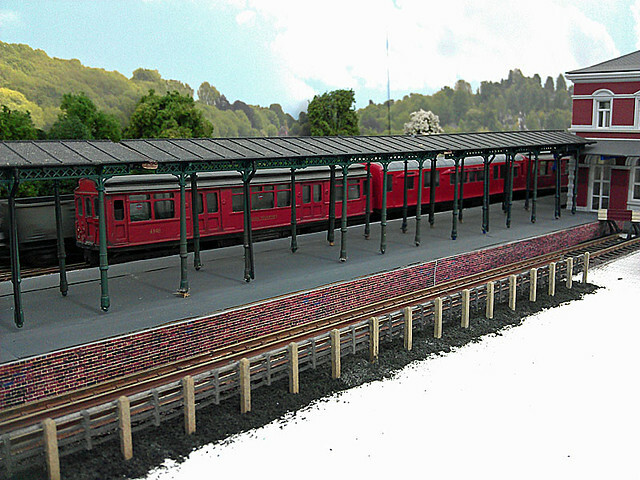 This would mean relaying the bay platform road and a complete rebuild of the station. In the event, I went for both. Not sure why, but the backscene seems to come out more lurid in pics than to the naked eye. Possibly this is due to the fact the garage his 8 fluorescent lights, and the fact the camera resolves this differently than the human eye. The photos are a mix of my camera and camera-phone. I’ve discovered I can squeeze my phone in places the camera won’t go, but depth of field is tricky. 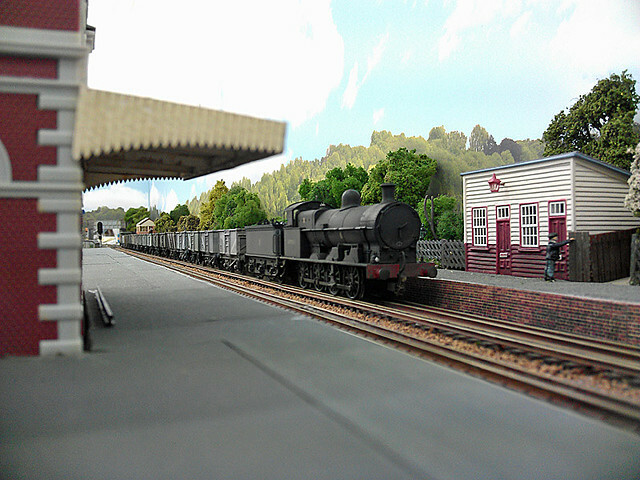 However this shot hopefully illustrates the long view from the steam loco spur siding. During the long layoff, I also discovered 3D printing. This is a real boon though does come at a price. 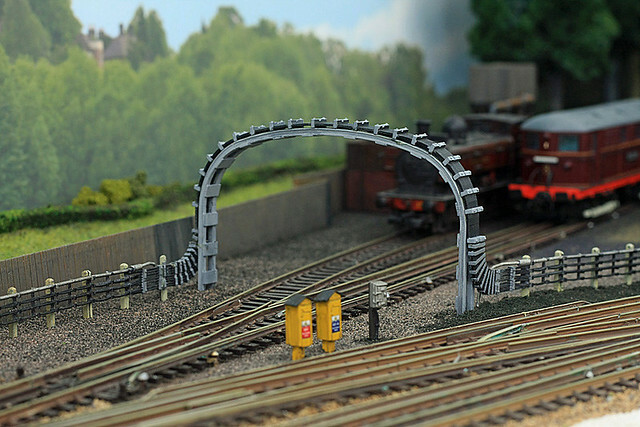 It meant I could lay quite long lengths of lineside cabling quickly and without it looking too untidy. 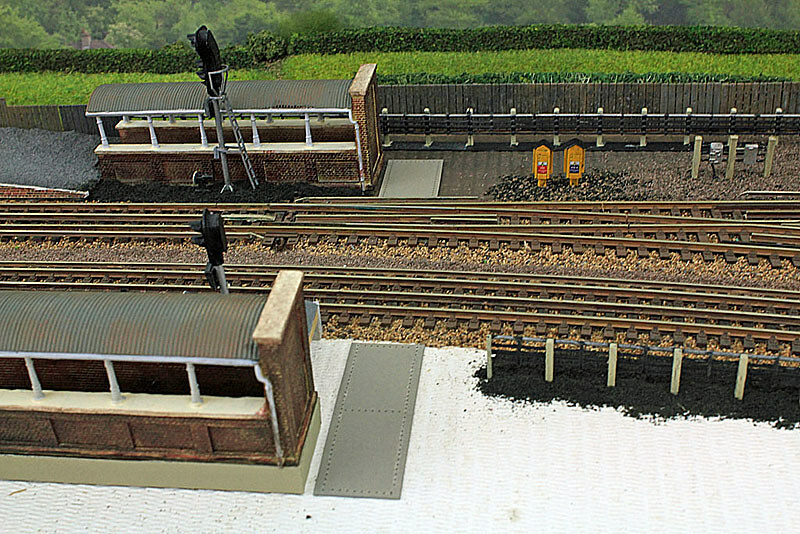 Also the advent of a cable gantry (albeit at a price) got me out of a real jam where I had to bypass the loco stabling point at the country end in order to continue cabling round to the turnback siding. I really don’t know when I’ll be able to do further updates but hopefully this catch up is of interest. Looking great! Hope all is well. You do realize you are creating a work of art as well here-performance art when it's running too. Thanks. You're very kind. Now where did I put my application form for the Turner prize? Unfortunately early March 2018 saw the ‘Beast From The East’ roll in, and for the first time it was too cold to work in the garage for some days. Normally in winter the temperature drops to 4 deg C overnight (or more properly 39F for the period of this model). Occasionally it drops to 2C but in any case with good insulation, a couple of electric fires and a zipper jacket, it becomes bearable fairly quickly. Not so this winter! For the first time ever it was zero (or 32F) and with the cold winds, and just trying to walk a few steps from the house to the garage kept me out. This was followed by some periods of family illnesses which rather put paid to further scenic work for a while as I couldn’t find enough long periods to be able to do the work I wanted. All was not lost as my mojo remained fairly intact. 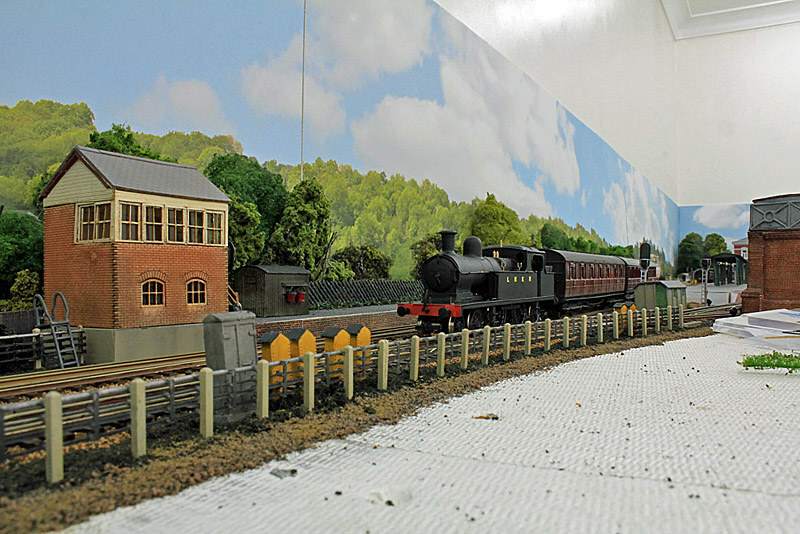 It did mean however, I was restricted to short spells of painting and weathering stock – grabbing a few minutes here and there. As a result this update is just ‘new’ items of stock. 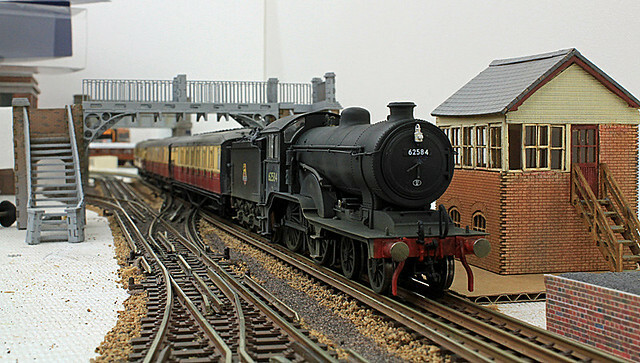 Ex-LNWR G2a 49061 from Bletchley shed has been seen quite often recently wheezing her way around with coal trains. 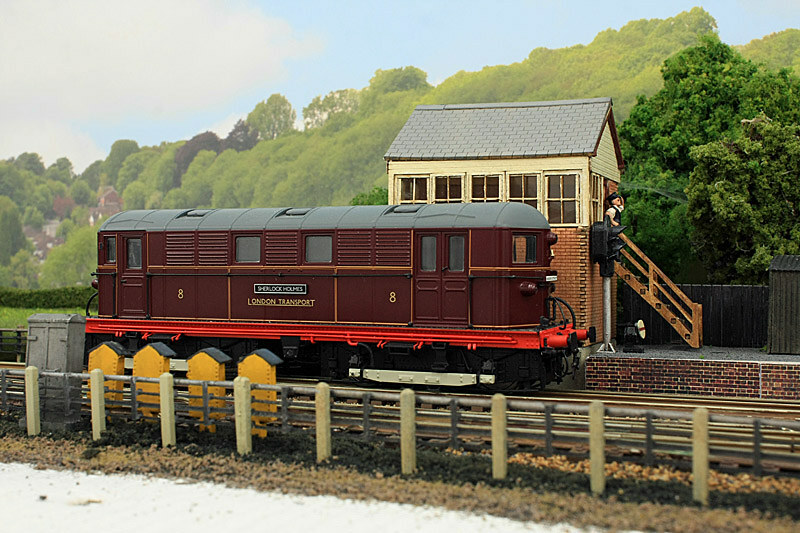 Our local carriage enthusiast has got quite excited with sightings of some cascaded Eastern Region stock including this Thompson Composite on an Oxford-Cambridge working. This Gresley 8 compartment 3rd looks like it’s spent far too much time commuting to the smoke. 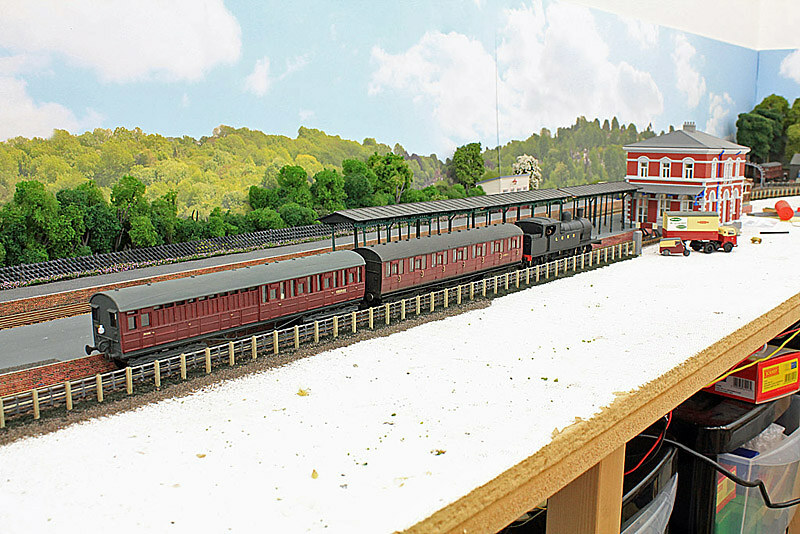 I’d like to add some figures to the Hornby coaches but those footboards are just so delicate I can’t seem to get the bodies off without wrecking them so I guess they’ll have to spend their lives working ecs. Thanks for another update & great set of photos. Vide your lack of passengers. 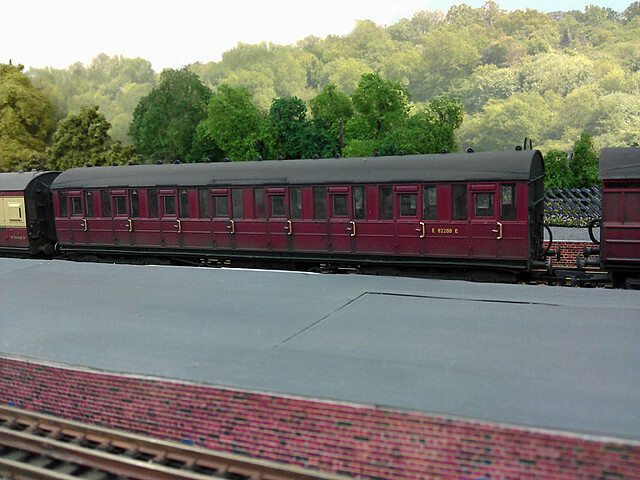 This will sound fiddly, but might solve it, feel free to laugh if not---------can you cut the carriage windows away to be seamlessly glued back on after carriage entraining? If so, could you then use tweezers to pass passengers through to seats, said passengers having suitably-gluespotted posteriors? Thanks for the suggestion but I think 'seamlessly' is beyond my skill set! It’s been an odd couple of months. Rampaging growth in the garden, a prolonged hot spell, and carer duties have conspired to stop me spending any long periods in the garage. However, I seem to have engineered quite a lot of 30-40 min sessions to work on stock and got quite a lot done. 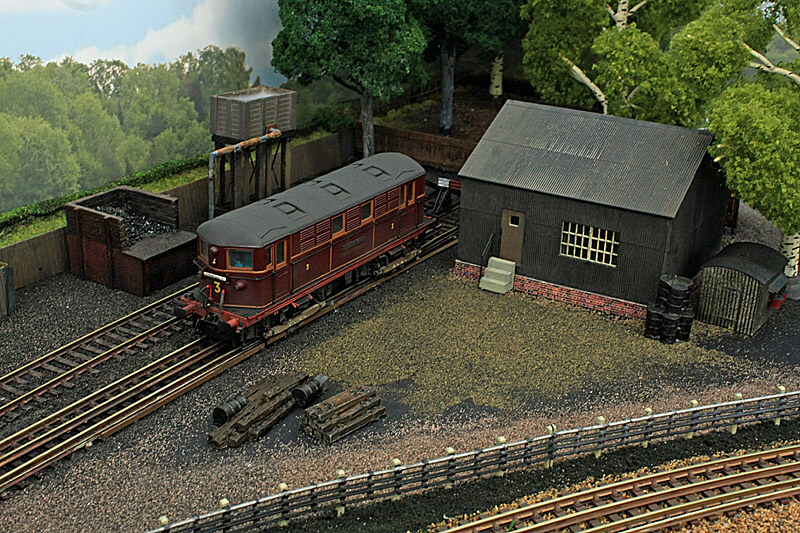 Additional scenery will have to wait until the autumn but here’s some new stuff. I’d had a Heljan Sherlock Holmes for some time. 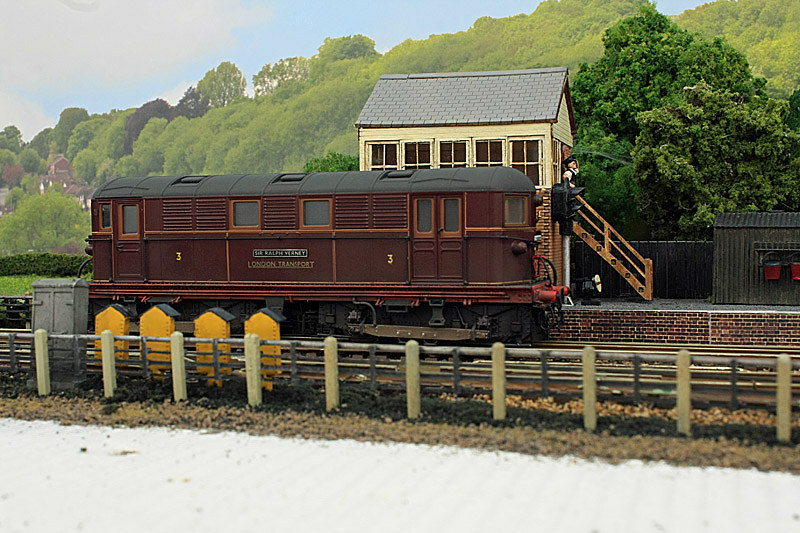 It’s a great loco but of course the finish is ex-works. At over £100 I wasn’t keen to make a mess of it. 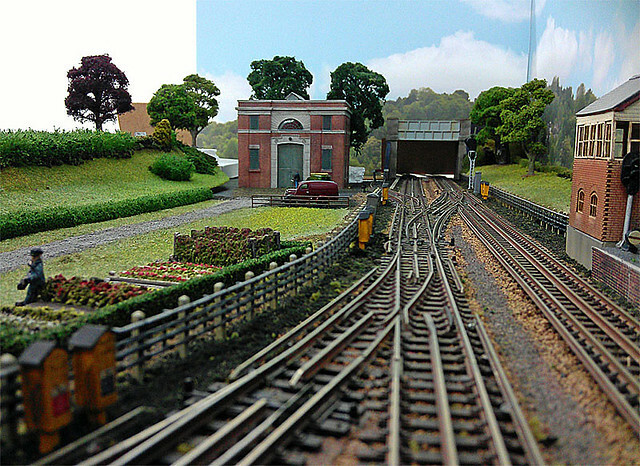 A shot of No.3 in the stabling area awaiting her next turn. Many of you will be familiar with the series of pics on the ltmuseum web site of the final coal delivery to Chiltern Court (the building above Baker Street station). 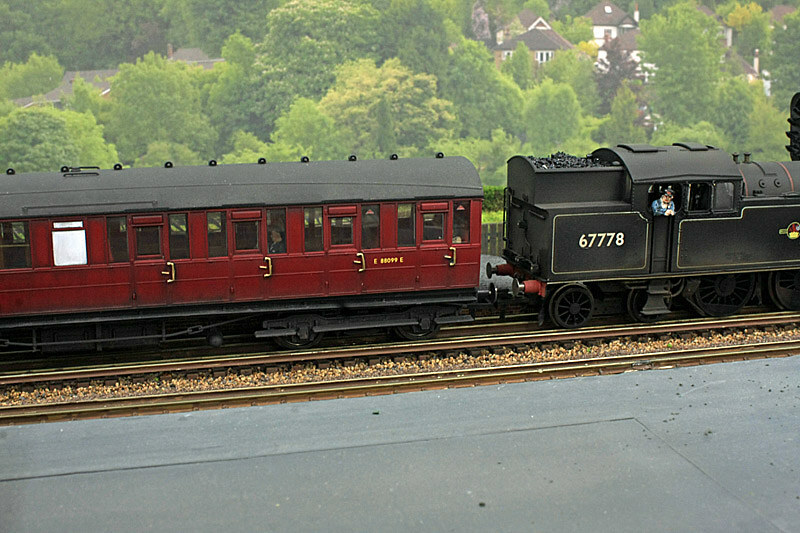 I can’t recreate it exactly so in my world, deliveries continued a while but of coke/coalite in hired-in BR wagons. 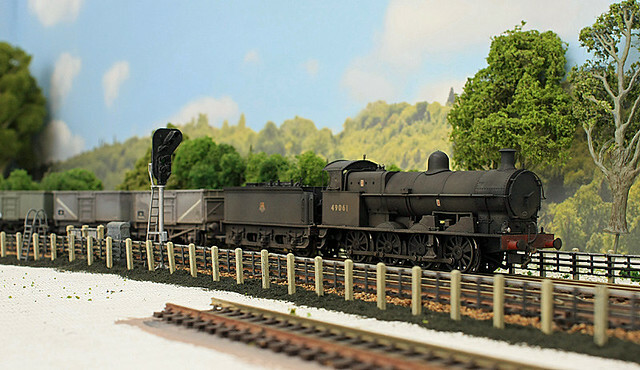 Hornby’s Britannia is a great loco but they’ve been trying hard lately to turn it into more of a toylike appearance. With a bit of work she can be made a lot more realistic. 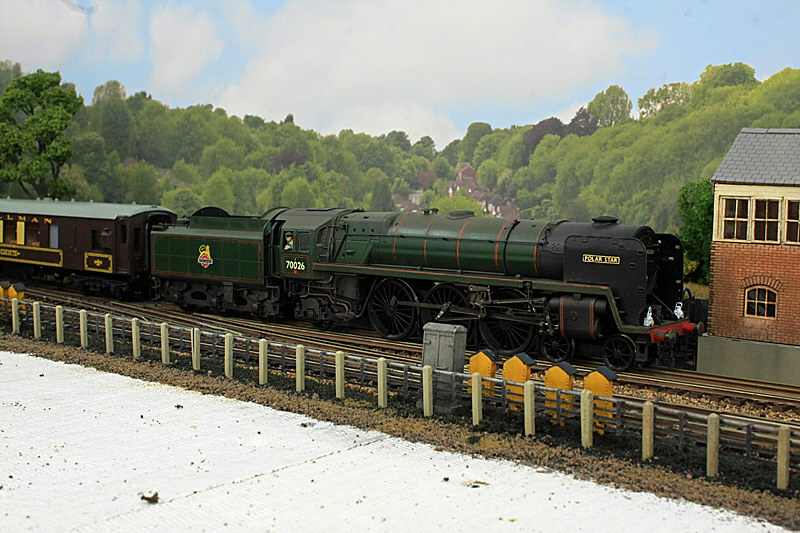 I wanted one with the revised WR smoke deflectors and what better choice than 70026 Polar Star which caused the change? I’ve found pics of 3 locos that have the revised deflectors and the earlier crest but decided to go with Polar Star – seen here on a Saturday poshex using the stock from the South Wales Pullman which would otherwise have been idle. 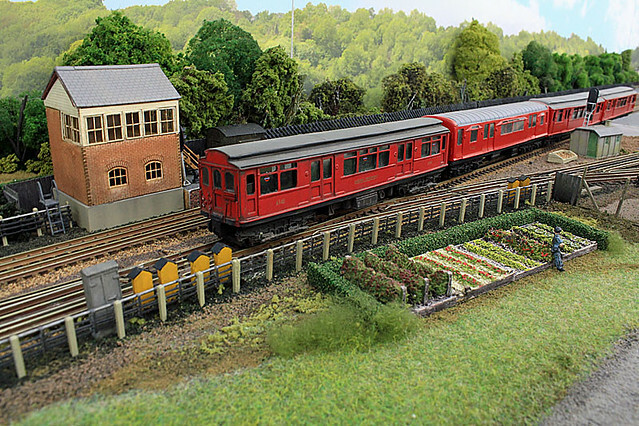 And finally…… I’ve found a way into the Hornby Gresley compartment stock without doing much damage, so managed to put a smattering of passengers in them so they’re not so bare, and don’t have to run ecs any more. My wife died shortly after the last update. Needless to say very little progress has taken place since then. However, she was always very encouraging and I intend to carry on this autumn. This update is therefore a bit unusual as it’s mostly about what I intend to do rather than what I have actually done. I needed to construct a subway between the platforms. 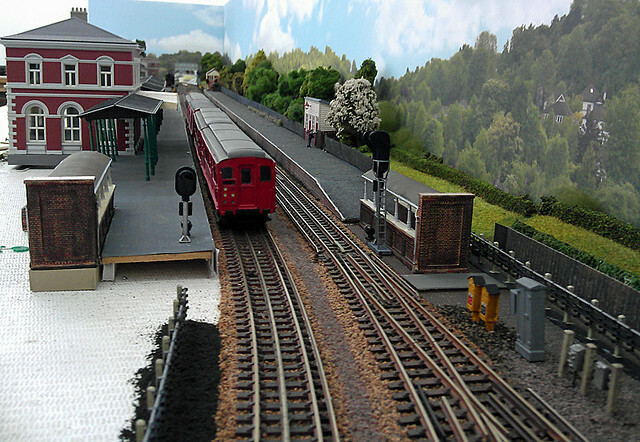 Stations such as Chorleywood and Chalfont and Latimer have these so it’s prototypical for the area. I’ve experimented with Archers rivets. From tutorials on Youtube etc they seemed to be a bit tricky and so it turned out. Carrier film is quite visible close up, though to be fair they do say these are meant to be applied before paint is added but I’d already painted these sheets battleship grey. 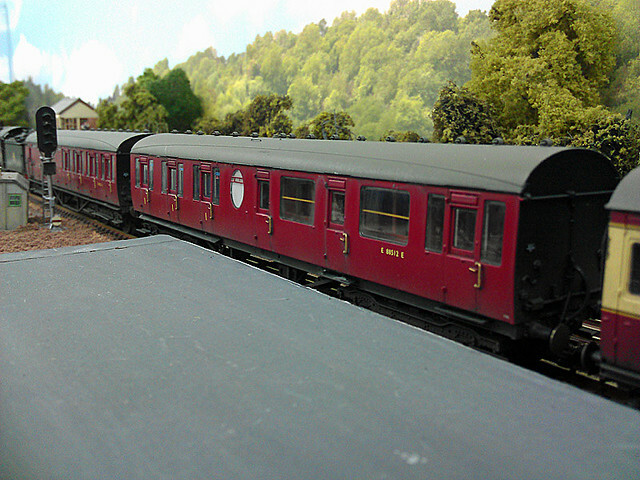 With weathering and viewed from a more normal distance the carrier film mostly disappears. 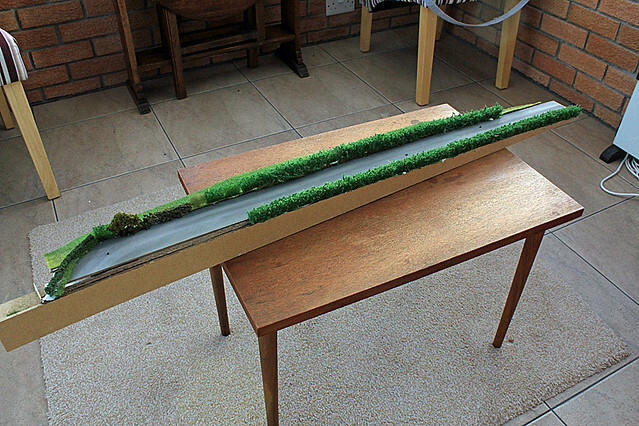 I probably need to attend to the weathering once ground cover is added and/or have another go as this was my first attempt. Just before we moved here OO Works produced a run of about 200 LNER C13’s which were available in plain black, LNER black or BR black. 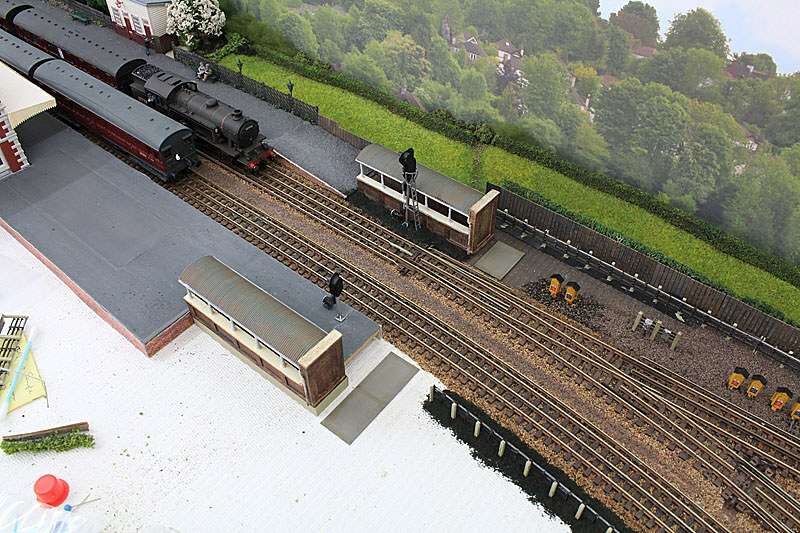 At around £200 each I couldn’t be certain I’d have a layout here, or what area it would be, though my last layout was the same general area. It’s one of those decisions that even with hindsight you’re never sure if you did the right thing or not. 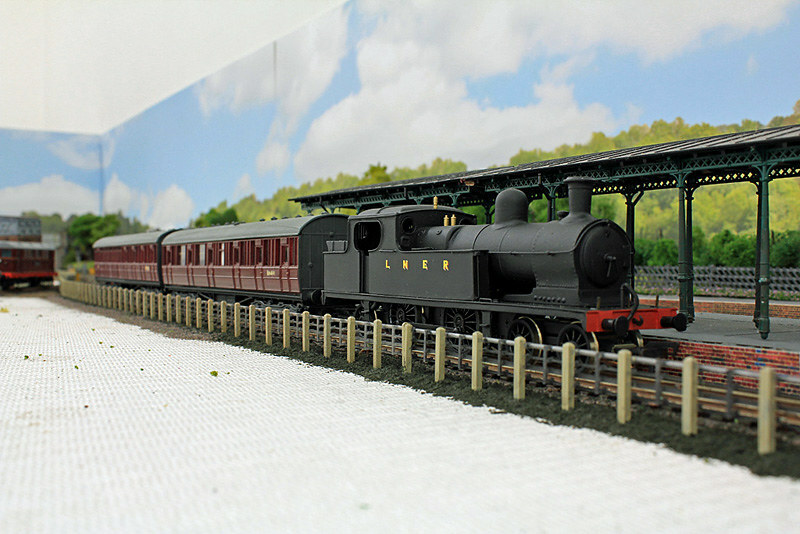 Anyway, by the time I had something of a layout here and knew I could accommodate a C13 they were long sold out. 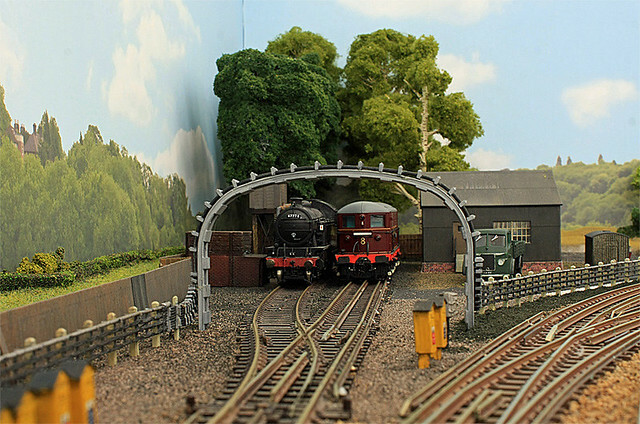 In 4 years down here this is only the 3rd I’ve seen come up on ebay and they’ve all been LNER ones. This time I bit the bullet and got this LNER one which shouldn’t be a difficult job to change to BR. 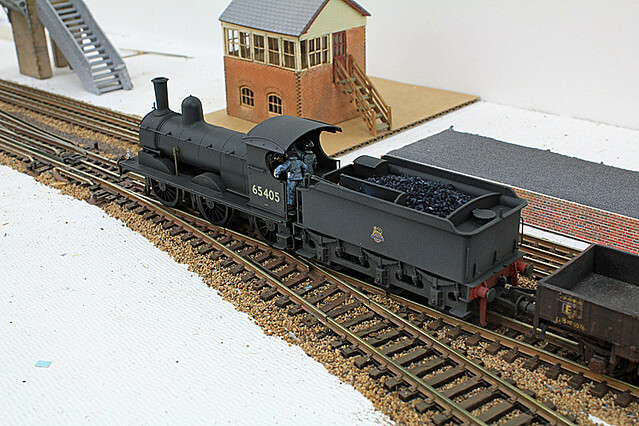 I doubt I’ll ever have an Ashbury set but as I’m not specifically doing the Chesham branch, decided to pair her with an LNER push-pull set. The composite has now been replaced by an all 3rd (which is actually a downgraded all 1st). 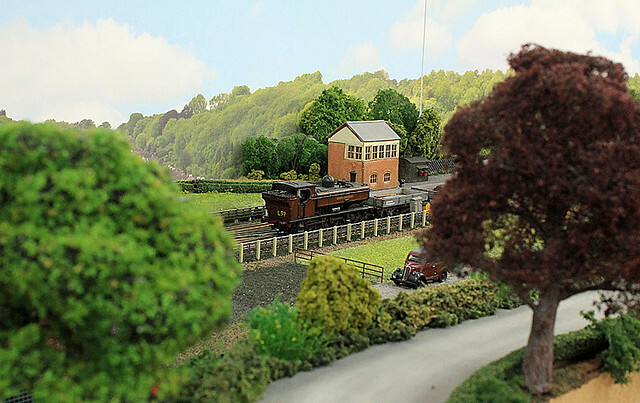 I’m quite happy with this set as it seems to fulfil a need for some rural connecting service towards the end of the Metropolitan Line. 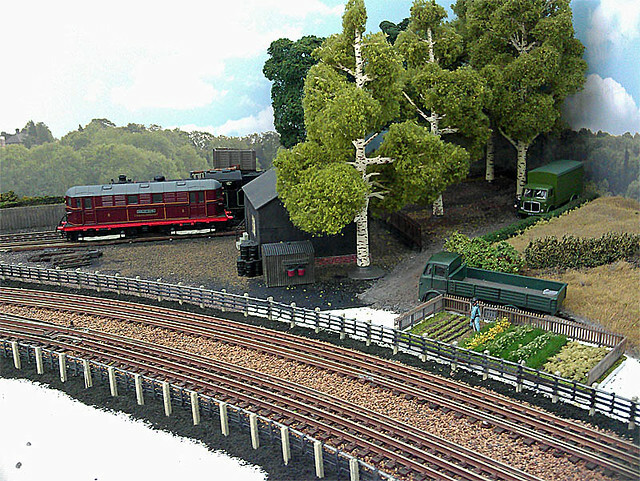 At the moment the plan is to concentrate on filling the foreground at the ‘London’ end of the layout to produce some better ‘train in the landscape’ photo opps. Sorry to hear about your wife. (same thing happened to me last Dec:) Just keep going. Mike Durell. Sorry to hear the news. I’m glad she was supportive so it’s pleasing to see more progress. Love the C13. I’d love a Robinson A5 for my Harrow layout but they are hard to get hold of. Keep up the great work and keep your chin up (I know it’s easy to say). Happy New Year 1959 style! I was hoping to have the next module finished by now, and I can say hand on heart that it nearly is. I have several pics to process but having seen the first ones have noticed a few bits that need attention. Late 50’s and early 60’s still saw plenty of allotments close to the railways, and one of our local crew is grabbing a few minutes to tend to some fruit and veg. In the past I’ve built some modules to place behind the running tracks so I’m not continually leaning over and dislodging things. I thought I’d have a go at building a module for the front embankment as it meant I could make much more mess on the workbench. Here’s a snapshot of earlier progress, before it was installed. Hopefully not too long before I can show how that white area has been filled. 1st January 1959 is a normal working day in England, though the lunchtime news on the wireless has reported large amounts of absenteeism across manufacturing industry. My dad no longer cycles to work but has a 2nd hand Ford Popular, a sign that car ownership is on the rise and public transport is in decline. 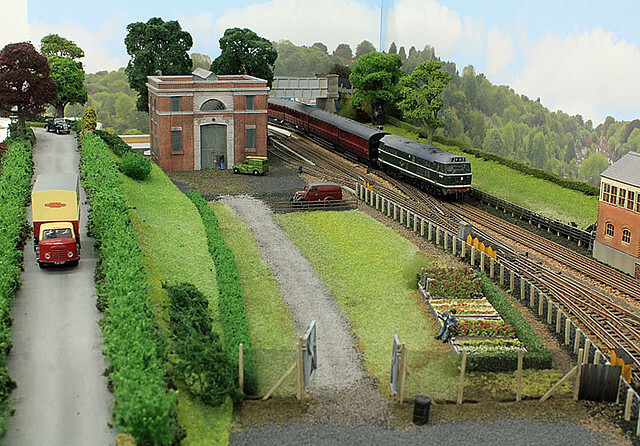 (Dr) Richard Beeching is a technical director with ICI, of whom most people have no knowledge. The tending of allotments close to railway lines is still widespread but there are signs of decline and change in the air. Only a couple of years ago Harold MacMillan berated us ingrates over the fact we’ve never had it so good. What more could we want? The entrance to the sub-station had lovely wrought iron railings pre-war, but they were cut down as part of the war effort, only to be replaced by awful concrete and wire mesh affairs which have already lasted a decade and half. Surely we could afford to replace it with proper fencing now? Ooops! Before anyone notices, D5537 seems to have arrived here 6 months before entering service. I thought it was on a peak hour working from Broad St but it must be on some protracted proving runs.... Actually my timeframe is normally a bit fluid 1956-61 but by creating a back story for 1st Jan 1959 I overlooked this. 1st Jan 1959 was a Thursday and not Sat/Sun so would have been a working day.